618 pages | 16 B/W Illus. 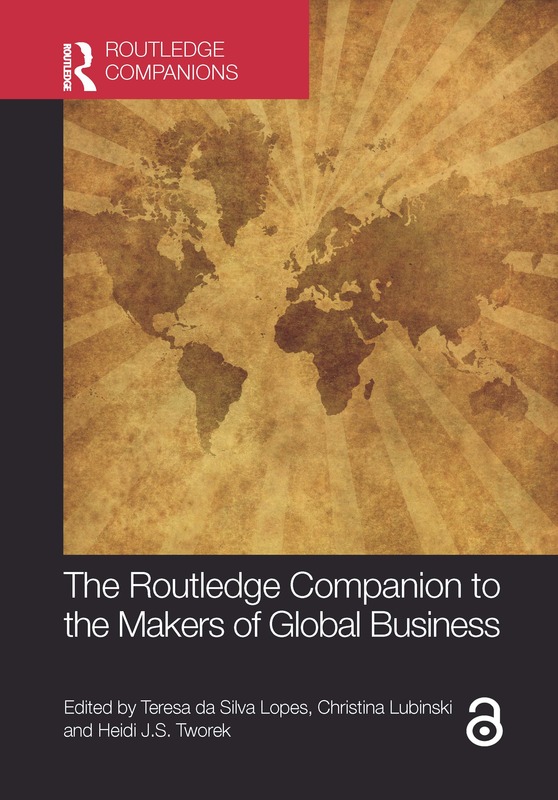 The Routledge Companion to the Makers of Global Business draws together a wide array of state-of-the-art research on multinational enterprises. The volume aims to deepen our historical understanding of how firms and entrepreneurs contributed to transformative processes of globalization. This book explores how global business facilitated the mechanisms of cross-border interactions that affected individuals, organizations, industries, national economies, and international relations. The 37 chapters span the Middle Ages to the present day, analyzing the emergence of institutions and actors alongside key contextual factors for global business development. Contributors examine business as a central actor in globalization, covering myriad entrepreneurs, organizational forms and key industrial sectors. Taking a historical view, the chapters highlight the intertwined and evolving nature of economic, political, social, technological and environmental patterns and relationships. They explore dynamic change as well as lasting continuities, both of which often only become visible—and can only be fully understood—when analyzed in the long run. With dedicated chapters on challenges such as political risk, sustainability, and economic growth, this prestigious collection provides a one-stop shop for a key business discipline. "This important collection of new surveys by leading scholars represents an essential state of the art summary and reflection on the often neglected major contribution of entrepreneurs and firms to the globalisation of business and provides a comprehensive overview of the evolution of global business in historical perspective, notably on the role of institutions and organisational forms." — Robert Read, Lancaster University Management School. Teresa da Silva Lopes is Professor of International Business and Business History and Director of the Centre for Evolution of Global Business and Institutions at the University of York. She is also the President of the Business History Conference. Christina Lubinski is associate professor at the Centre for Business History at Copenhagen Business School and visiting professor of clinical entrepreneurship at the Lloyd Greif Center for Entrepreneurial Studies, University of Southern California. Heidi J.S. Tworek is assistant professor of international history at the University of British Columbia. She received the Herman E. Krooss Prize for best dissertation in business history.